Contact us with any enrollment questions. Troy Preschool is located in the friendly town of Troy, Idaho, close to the University of Idaho and the beautiful Moscow, Idaho Palouse region. We specialize in educating children ages 3 - 5 years. We teach curriculum at a child's developmental age level in the sciences, arts, language, and mathematics. We also emphasize communication, social skills, small classrooms, and imagination in our daily activities. 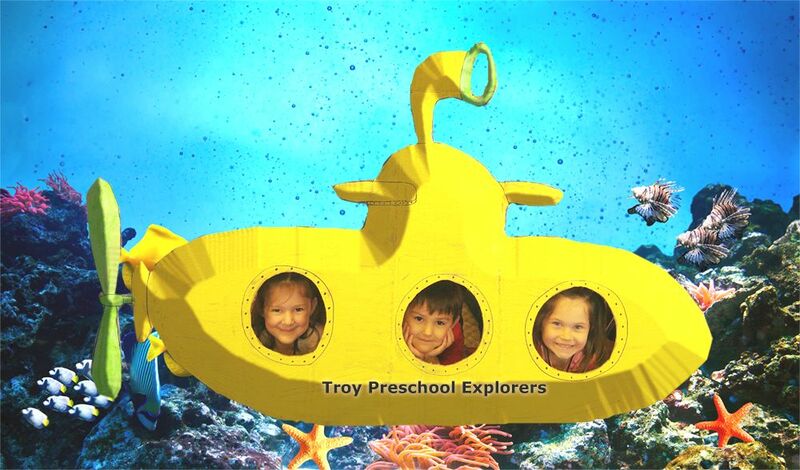 The teacher's of Troy Preschool believe that the world is to be explored, imagination coincides with education, and that EVERY child has a "Super Power"! Give us a call to find out more about our program. This money will be used to help with tuition scholarships, classroom curriculum & technology. Troy Preschool says THANK YOU!! for your support of our school through your generous donations! to All who sold and bought Poinsettias! All money raised will go towards our Preschool. Hours: Monday-Friday 7:30 a.m.- 5:30 p.m.
AM Preschool 8:30-11:30 & PM Preschool 12:00 p.m.- 3:00 p.m. Located at 100 N. Main St., in downtown Troy.